Each year, the Home Builders Association of Greater Chicago (HBAGC) presents one of the premier housing programs in the country: The Key Awards, which signify quality in home building and remodeling. HBAGC has been honoring the area’s best since 1972 in such categories as new home construction, architectural design, room additions, interior design, green building and more. 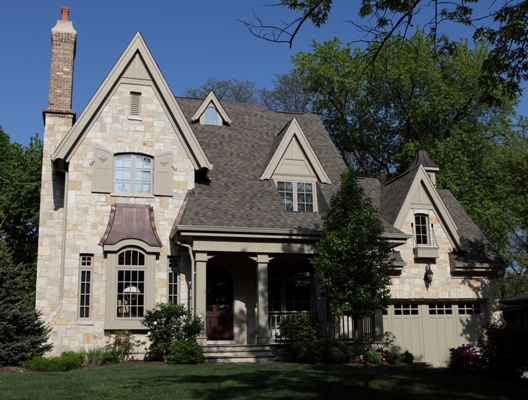 This year Battaglia Homes was presented with a Gold Key Award for this beautiful home in Hinsdale. This home boasts attractive stone, brick, cedar and stucco exterior, brick paver driveway, covered front porch with bluestone flooring and a screened-in back porch. Other luxurious amenities include wainscoting in dining room and study, coffered ceiling in family room, three piece crown molding throughout first floor, stunning custom cabinets in kitchen and bathrooms and american cherry hardwood floors. “You can tell when you walk into these homes and communities, that the people involved set out to make a difference in the quality of life for their residents,” said Gail Payonk, past co-chair of the Key Awards Committee. “The Key Awards winners are those who are building exemplary homes.